Home / HVAC Technician / What Training Does it Take to Become an HVAC Technician? If you are a heating, air conditioning, and refrigeration mechanic and the installer, you are also known as an HVAC technician. 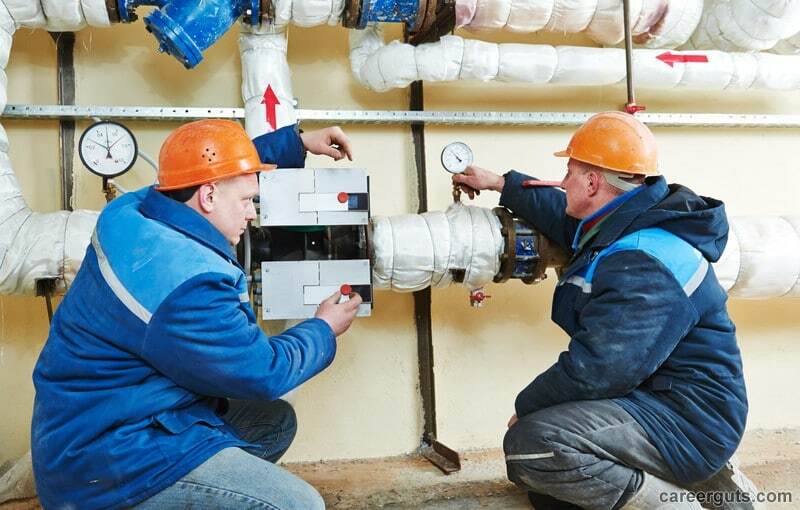 HVAC technicians work on the heating, ventilation, cooling, and refrigeration systems in commercial buildings, factories, hospitals, office buildings, and residential homes. The HVAC certification requirements vary depending on the state you’re in. A few states require you to have your HVAC Technician Certification, while other states don’t need anything but training from on the job work. You will have an easier time getting employed if you get certified by the state you plan to work in the most. To start the certification process, you have to have your or obtain high school diploma or your GED. While you were in school if you took a heavy class load of math, science, and shop classes, you’ll be slightly ahead. The second step in the certification process is to find an either community or technical college that offers the HVAC technician certification course. Once you search for and register for the classes, you have to pay anywhere from $700 to almost $900 to finish the registration process. Next, attend all of the classes and pass it with decent grades. These classes can take between three months to a year to complete. Once you pass the initial HVAC technician course, check and see if the state you’re in has a state exam. If you find out there is a state exam, you can sign up to take it online or by phone. You will have to go to the state designated testing area to take it. The final step to getting certified after taking and passing the state exam is to take your examination score paperwork that states you passed the state exam to your Development Services Department. Once there, you will go through the application process to become a state recognized certified HVAC technician. As soon as your certification goes through, you are able to work anywhere in the state without a worry. If you’re an HVAC technician and if you plan to work anywhere around refrigerant, you will have to get a special certification. This certification is needed if you intend to dispose of any appliance that contains refrigerant chemicals or perform maintenance or repairs on any appliance that has refrigerant chemicals. The U.S. Environmental Protection Agency requires the technician to have this special certification, and there are four different certifications you can get. Each certification test vary in difficulty and length. They all have to be taken in person at the state designated testing site. Certification type I, II, and III are a 50 question test. For the exam, 25 of the questions are about EPA regulations, and final 25 are about recycling procedures related to the particular are you plan to work. The Universal Certification test is 100 questions. This test has 25 questions that are general all-encompassing, and 25 from each of Type I, II, and III Certifications. To pass this exam, you have to get a score of 70 percent or better. If exams aren’t something you are interested in, the next step for you would be to find a local apprenticeship program. Once you find one, apply to it, and if you’re accepted, you’ll learn by working on the job. Each apprenticeship can last from three to five years, and this provides a way to earn money while you’re earning experience. Once the person you’re apprenticing believes you’re ready to work on your own, they can choose to end the apprenticeship. Once this happens, you’re able to go work on your own or with a company. An HVAC Technician’s salary has a broad range, and it is highly dependent on the technician’s level of experience. If you’re a newly certified HVAC technician, you can expect to make just under $30,000 per year for the first few years. 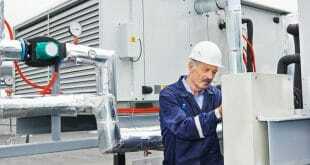 An HVAC technician with many years of experience can expect to make upwards of over $50,000 annually. The current national average for an HVAC technician is roughly $45,000 a year, and this comes out to just over $20.00 per hour. As soon as you have obtained your HVAC Technician certification, you can begin applying to different companies. You should start with construction companies, contractors, hospitals, and heating and cooling companies. Each job you do will add valuable experience to your resume. 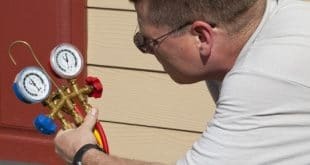 Previous What Does An HVAC Technician Do?